A couple who lost their precious wedding pictures have travelled the world recreating snaps of their special day in 11 different countries so far. 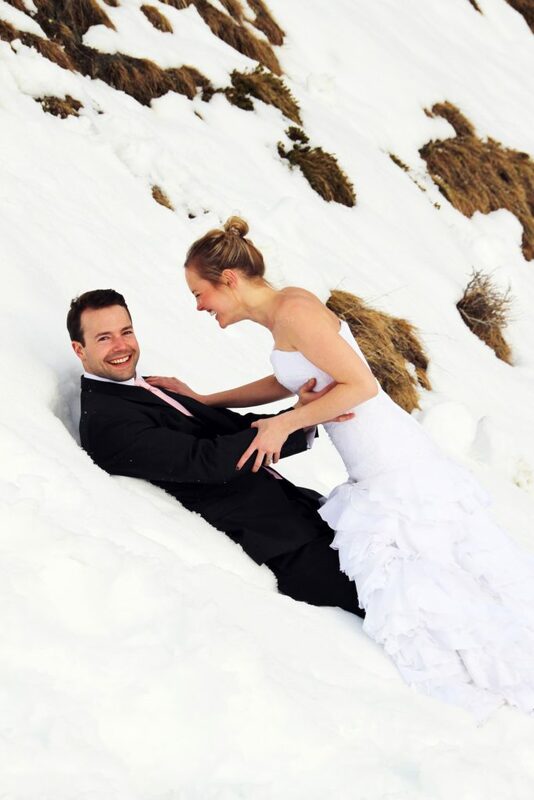 Ché Dyer, from Mitcham in London, has been photographed in her white bridal gown all over the globe in exotic locations including the French Alps, Sydney, Australia and Kruger National Park. 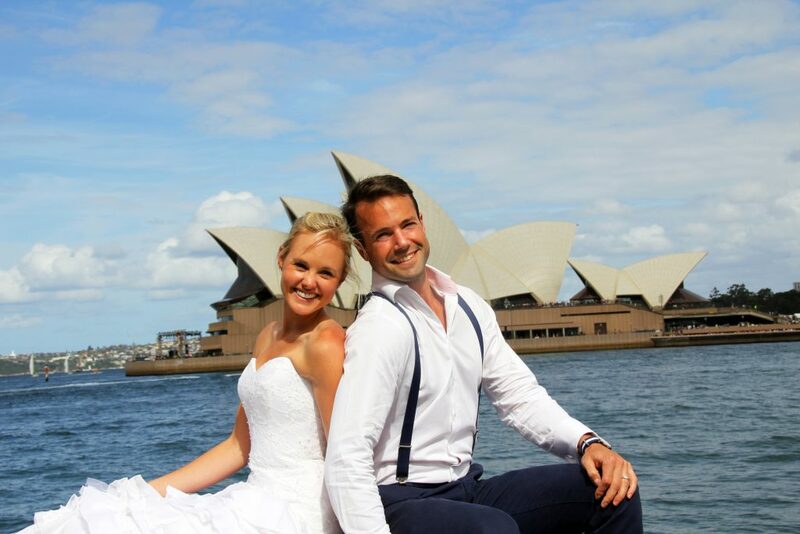 Alongside her husband Warren, 34, the pair have even relived their big day against a backdrop of the Northern Lights in the Arctic Circle and a full moon party in Bali. Ché, a yoga teacher, first came up with idea while at a music festival in Belgium – having lost their precious wedding pictures a few weeks earlier when their wedding photographer ran into his dog and the disc containing their photos was scratched and deemed ‘unsalvageable’. The 32-year-old said: “I was pretty upset at not having any decent photos of us in our wedding kit, so I just decided to throw it out there as a dress up idea for a music festival we were going to. “I casually joked to my husband that I was going to dress up in my wedding dress to get some wedding pictures. 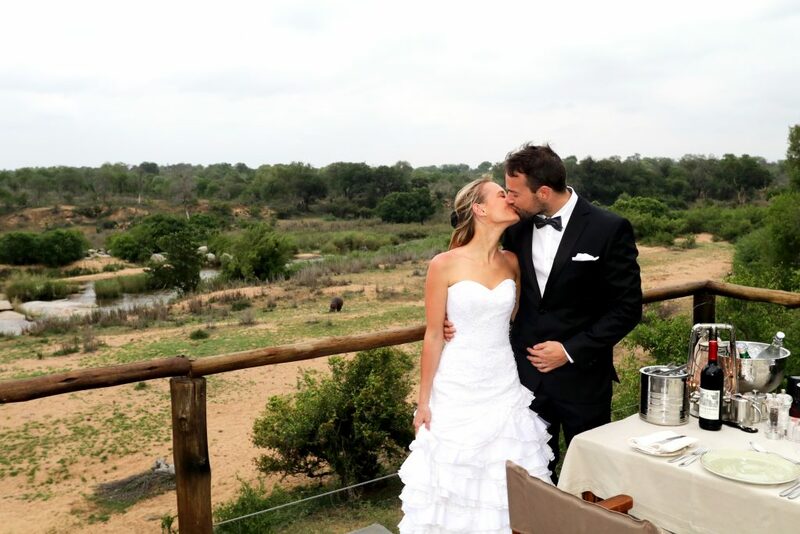 Pic by Kat Forsyth/Caters News: Che Dyer and husband Warren at Lion Sands Tree Lodge in Kruger Park, South Africa. “To my surprise he responded with, “cool, what should I wear?” So the first wedding dress adventures took place at the music festival. “After having such fun at the music festival in our wedding kit, I joked with Warren that we should just keep doing this to make an ‘around the world wedding album’ to replace the one we never got. The couple’s original wedding took place in 2013 in their former home of South Africa. Ché said her custom-made dress had stood the test of time after being packed up on dozens of occasions but admitted to asking strangers for help when taking it on and off each time. She said: “The first outing with the dress was hilarious because we had no idea what we were doing and how best to do it all. Pic by Kat Forsyth/Caters News: Che Dyer and husband Warren in a stylised shoot in Amsterdam. “Changing into the wedding dress definitely isn’t a one-man job. “The first time I put the dress on we realised that Warren had no idea how to do the whole thing up, so we had to ask two ladies who were looking on in amusement to help me get into my dress. “Since then we have become quite ‘professional’ at carting around our wedding kit. “We’ve discovered it rolls up pretty easily and clips to the outside of Warren’s backpack. Sarah added: “Although we will never be able to recreate all the amazing feelings of our actual wedding day, every time we put our wedding outfits on, it’s a little reminder of our commitment to each other and how we felt on that day. Pic by Kat Forsyth/Caters News: Che Dyer and husband Warren in Sydney Australia. “Our favourite shot from each place is now printed and hanging on our wall at home.